UConn Health's Dr. Cato Laurencin, an engineer and surgeon. A group of doctors, scientists, and engineers announced an ambitious new medical goal this week in Hartford: they'll attempt to re-generate a human knee and a human limb. Cato Laurencin is engineer and a surgeon at UConn Health and he said bioengineering needs more grand challenges. "Think about going to the moon -- that project of going to the moon, when it was first stated in the early 1960s -- where we had no way of being able to do it," Laurencin said. "But [we] ended up doing it in the end. The technologies that came out of that were incredible." Like going to the moon, or sequencing the human genome, Laurencin doesn't expect his new project to happen overnight. He calls it "HEAL" (for "Hartford Engineering A Limb"). Timelines are loose, but he anticipates needing about seven years to regenerate a knee, and about 15 years for an entire limb. David Gardiner, a scientist at UC Irvine, said more "moonshots" are needed in the field of biology and engineering. "The basic science culture is very, very conservative. As a result, when it comes time to go get funds to support your research, you have to almost know what the answer is going to be," Gardiner said. Gardiner studies salamanders, which can regenerate body parts, and he's been brought on the team to identify key cells in animals involved in biological regeneration. 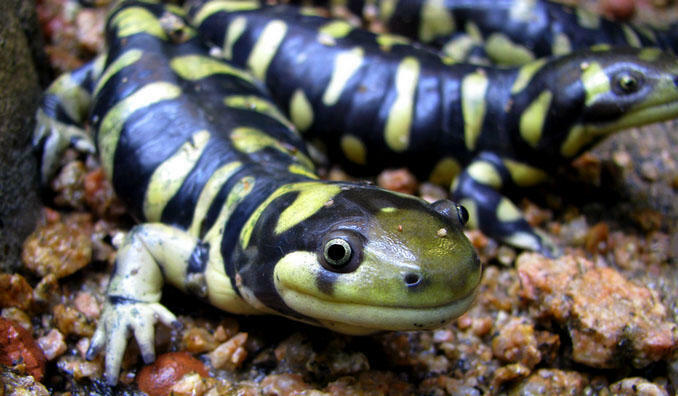 A tiger salamander, known for its capacity to regenerate body parts, like many other salamanders. HEAL will also include engineers and scientists from Harvard, Columbia, and SASTRA University in India. It's funded in part by the National Institutes of Health, private donors, and the state of Connecticut. A team of scientists at Massachusetts General Hospital in Boston made news earlier this month when they published research in the journal Biomaterials describing how they'd created the world's first bioartificial limb in the laboratory. Or, in other words: scientists have now grown the entire forelimb of a rat in a lab. Moon jellies have an unusual self-repair strategy, scientists have learned. If one of these young jellies loses some limbs, it simply rearranges what's left until its body is once again symmetrical. "We were not expecting to see that," says Michael Abrams, a graduate student in biology at the California Institute of Technology. All creatures have tricks to heal themselves. If you get a cut, your skin will form a scar. And some sea creatures, like starfish and sea cucumbers, can regenerate lost body parts. 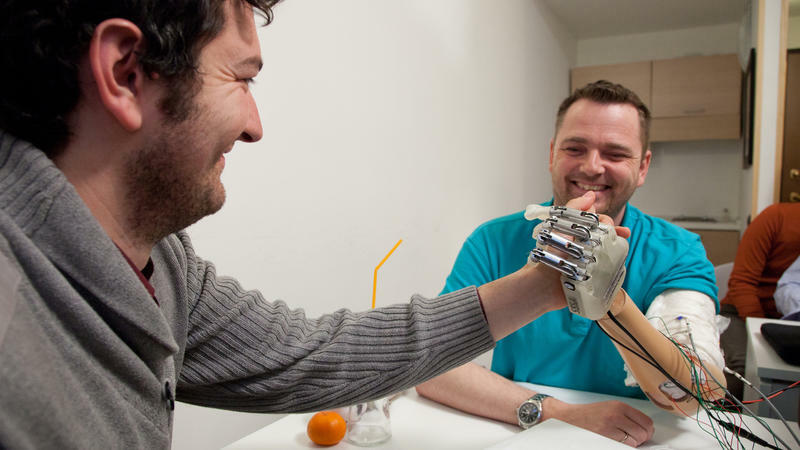 What Do You Really Know About Prosthetics? It's not uncommon to see someone wearing a prosthesis, especially after wars in Iraq and Afghanistan sent many veterans home minus a limb. While losing a limb is a life-changing event, a good prosthetist can "carve" a prosthesis with just the right fit. It's a long process that can take years to perfect. Limbs today vary from simple body-powered prostheses moved by cables to a "fully robotic arm that has 26 joints, can curl 45 pounds and is controlled by the wearer's mind." As the stigma of a prosthesis lessens, amputees are seeking enhancement over replacement, opting for limbs that transcend what's biologically possible, even if lacking the aesthetic of a natural limb. A UConn Professor has won a lucrative award from the National Institutes of Health for his work in regenerative engineering. Ten years ago Dennis Sorensen was setting off fireworks to celebrate New Year's Eve with his family in Denmark when something terrible happened. "Unfortunately one of the rockets we had this evening was not good and when we light it then it just blew up and, yeah, my hand was, was not that good anymore," says Sorensen.